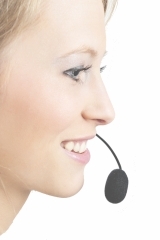 Customer Service – AmeriKen Online! Customer Service is our top priority at AmeriKen! Although we have the advantage of the largest inventory and the most extensive product line in the industry, our number one priority is still the individualized service we extend to each and every one of our most valuable assets…our customers! We encourage feedback so we know what works or what needs improvement. Please feel free to email us with your comments.